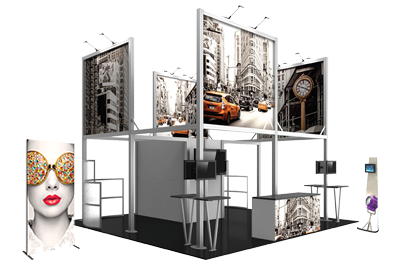 Embarq Creative offers turnkey tradeshow exhibit design and show services to help make your brand stand out on the trade show floor. 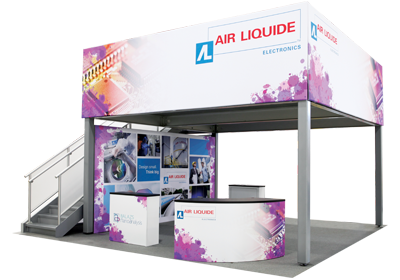 We strive to bring value to your company by highlighting your brand in any exhibit space. With our team, we have the ability to take care of your tradeshow needs, from the beginning of the show, through the end. We believe in bringing a personal touch to face-to-face marketing, and we believe a partnership with Embarq Creative can bring value to any trade show exhibit challenge. Contact us today at 1-800-530-4470 or ideas@embarqcreative.com to speak with one of our team members about your trade show exhibit options. © 2019 Embarq Creative. All Rights Reserved.